The World Luxury Hotel Awards are the pinnacle of achievement for Luxury Hotels worldwide. The awards are accorded to hotels who have attained the ultimate accomplishment in service excellence, going beyond the normal call of duty. Thank you all treasured guests for your support! We're truly grateful for this excellent recognition and we'll be working hard towards greater heights in 2018. Perched on the cliff-edge, Star Cloud is Cloud Nine Estate’s finest creation. 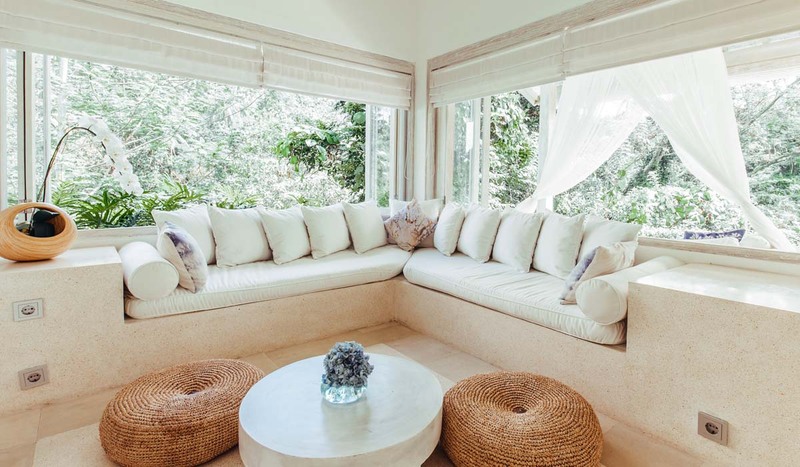 With bespoke tropical interiors that ooze with laid-back elegance, every inch and object in Star Cloud has been lovingly hand-picked, custom-designed and hand-made by local artisans. Organic materials, flowing forms and the power of genuine craftsmanship combine to give each piece its own story, each with its own spirit of beauty. Anjali Suite is an enchanting home with bespoke rustic interiors that ooze a laid-back sense of elegance. Every inch and object in the villa has been lovingly handpicked, custom-designed and hand-made by local artisans. Organic materials, flowing forms and the power of genuine craftsmanship combine, to give each piece its own story, each with its own spirit of beauty. 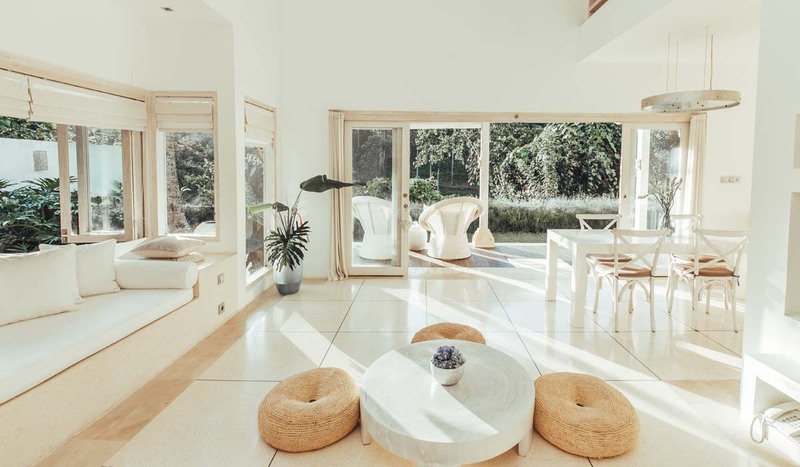 Lotus Cloud's light and airy living room is a truly atmospheric lifespace, open to scented gardens that cascade into the valley. Design elements resonate softly with each other to create an aura of peacefulness and harmony. Beauty in simplicity is reflected in clever features, like the voluminous daybed with panoramic windows that transforms to a super-king sized sleepzone for 2 more people. Beautiful views of the valley appear like fairy-tale paintings all around the glass panelled room of Tara Suite. A cosy daybed framed by full bay windows allows the feeling of floating in the valley as you curl up to read your favourite book. Its the perfect spot for contemplating the wildness of the hills and the sweetness of birdsong, all so close to you from your superb vantage point. Like an exotic dream, an aura of cool mystique and bold gracefulness pervades in Dewi Suite. 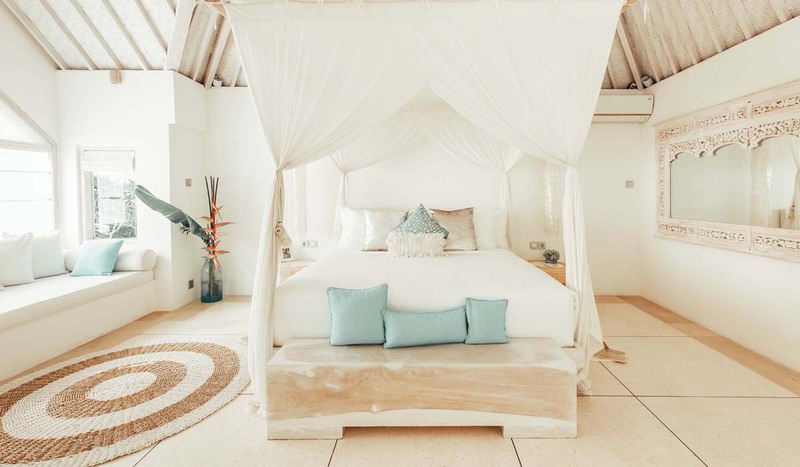 Every inch and object in the villa has been lovingly handpicked, custom-designed and hand-made by local artisans. Organic materials, flowing forms and the power of genuine craftsmanship combine, to give each piece its own story, each with its own spirit of beauty. Design elements resonate softly with each other to create a sense of subtle elegance. The stay at Cloud Nine with Philip and Kelly was by far the best travel experience I have encountered anywhere in the world. You could not wish for better hosts, accommodation or service. The attention to detail by the hosts was unbelievable, as was the exceptional service from all the support staff on site. I know that I will stay here every time I return to Bali. 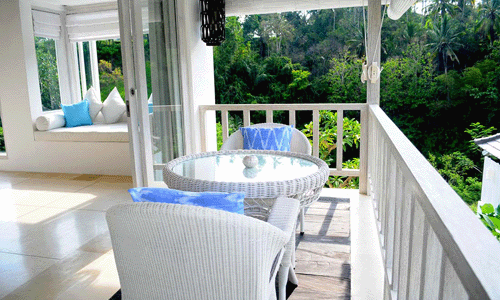 We couldn't have a picked a better place for our stay in Ubud. 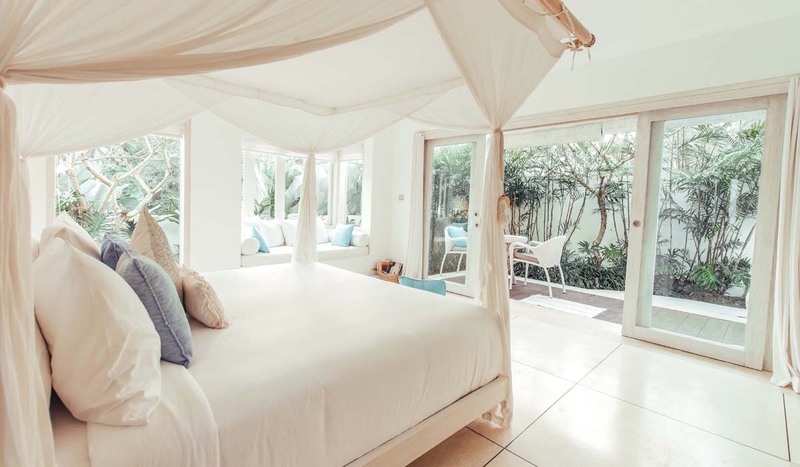 We had planned for a quiet, peaceful holiday in Bali, and staying at Philip and Kelly's beautiful villa was just perfect for that. Philip and Kelly are such warm hosts and we felt right at home. Our stay at Cloud Nine Estate was an absolute dream! Phillip, Kelly and the whole staff were so helpful and accommodating throughout our whole stay in this beautiful suite. The morning breakfast was impeccable and the complimentary butler service was so helpful for ordering a dinner brought in (plated beautifully and all). The afternoon herbal tea was so nice to come back to after exploring Ubud. Bali HP: +62 821 4635 7978. © Cloud Nine Estate 2016 All rights reserved.